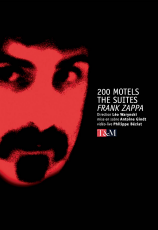 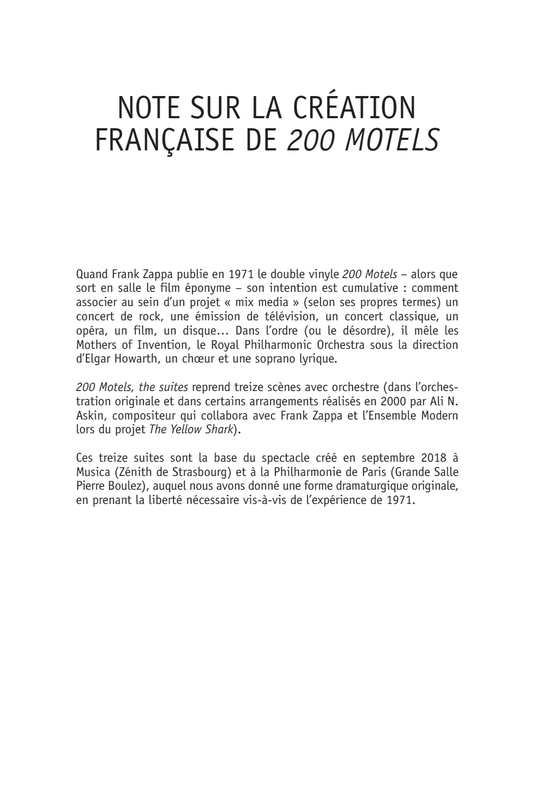 200 Motels. 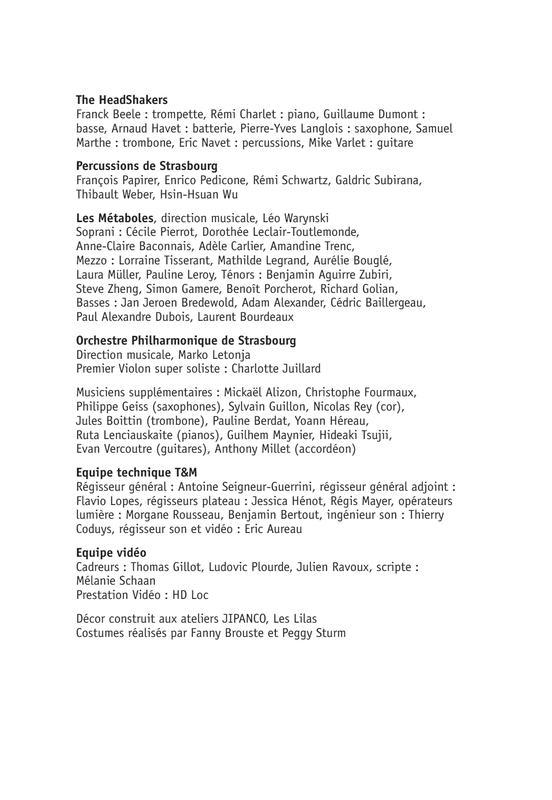 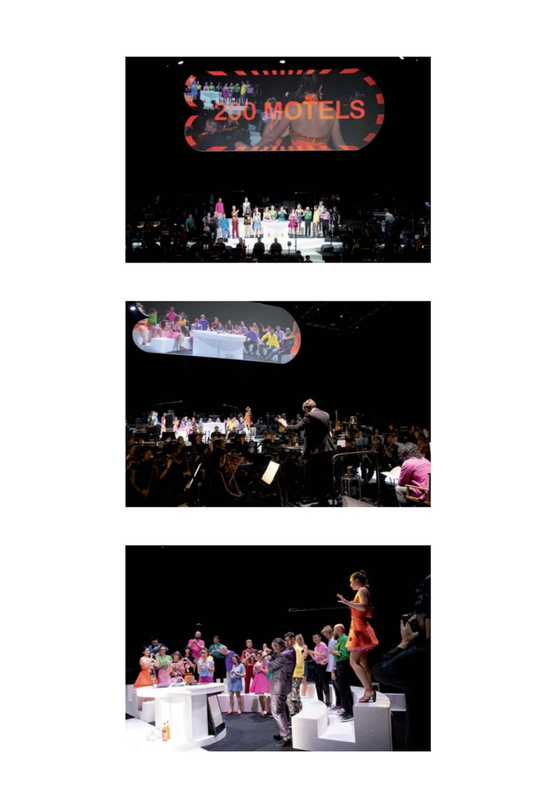 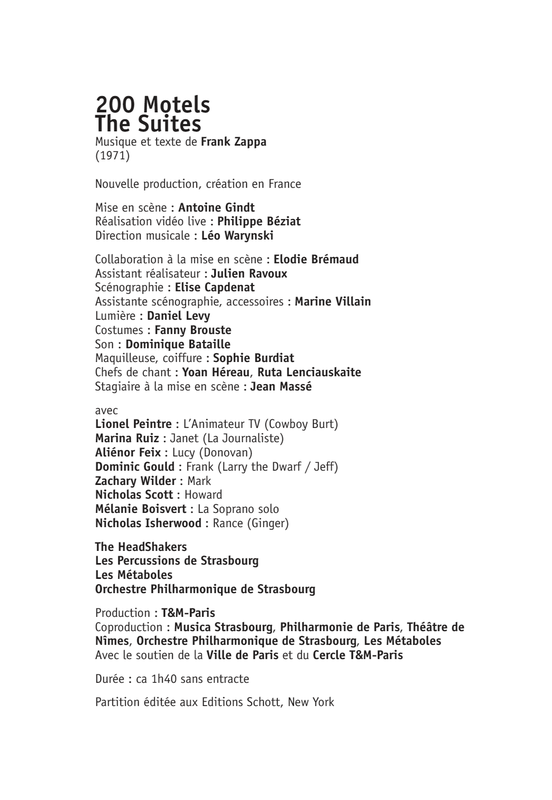 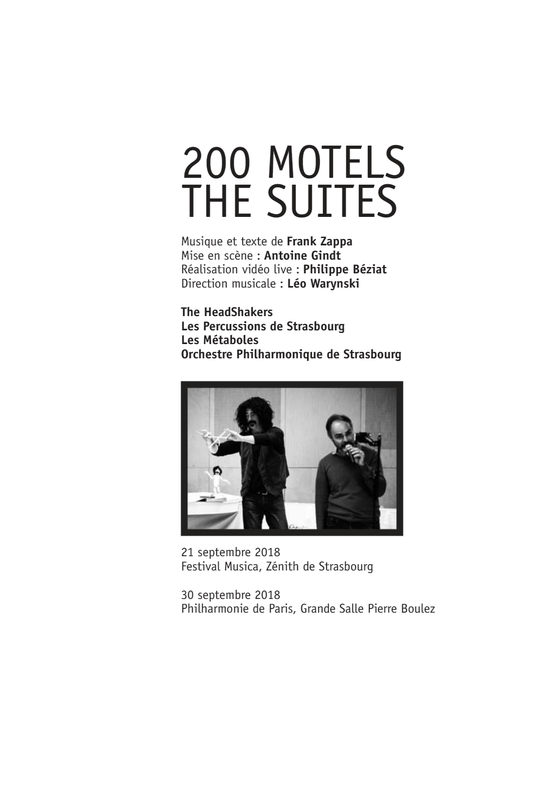 The Suites was performed twice in 2018 - September 21, Festival Musica, Zenith de Strasbourg and September 30, Philharmonie de Paris, Grande Salle Pierre Boulez. 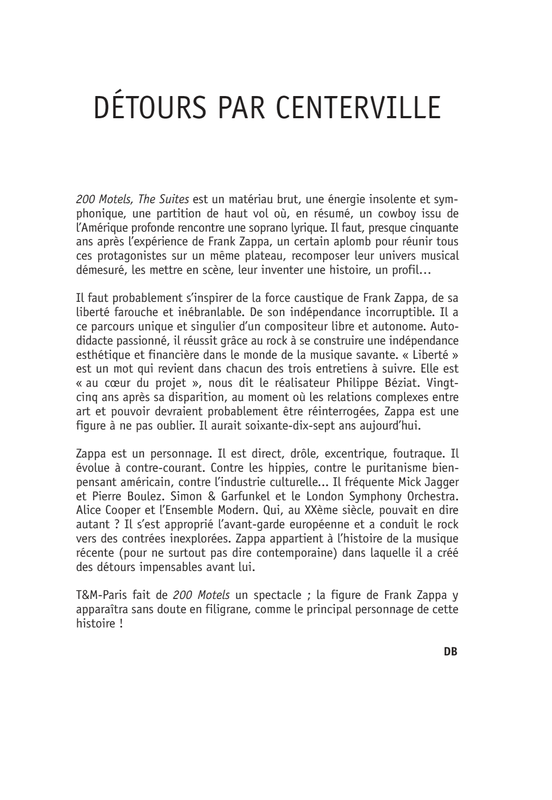 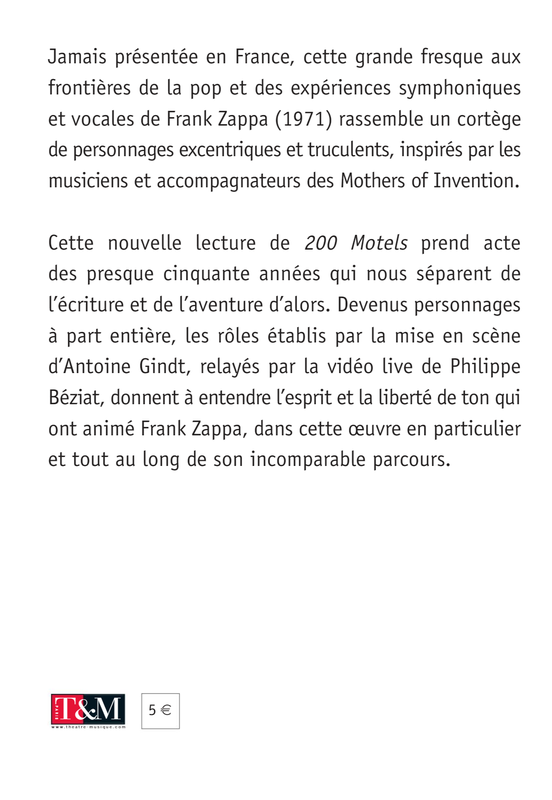 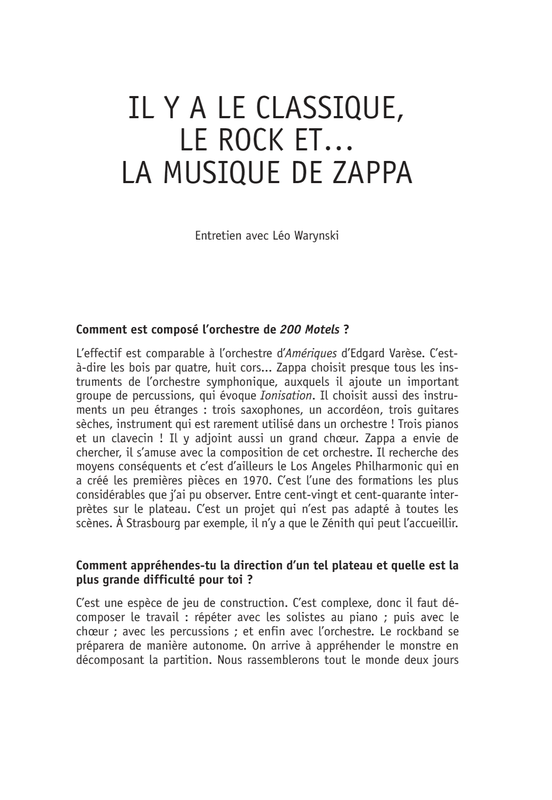 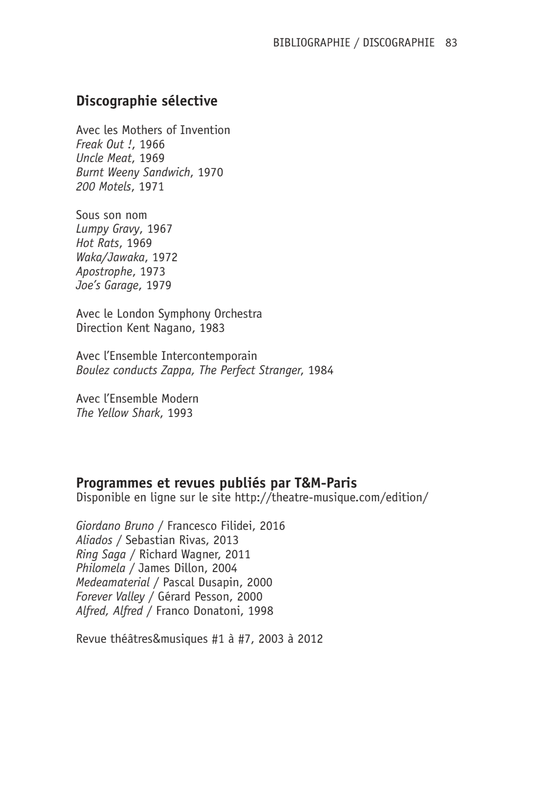 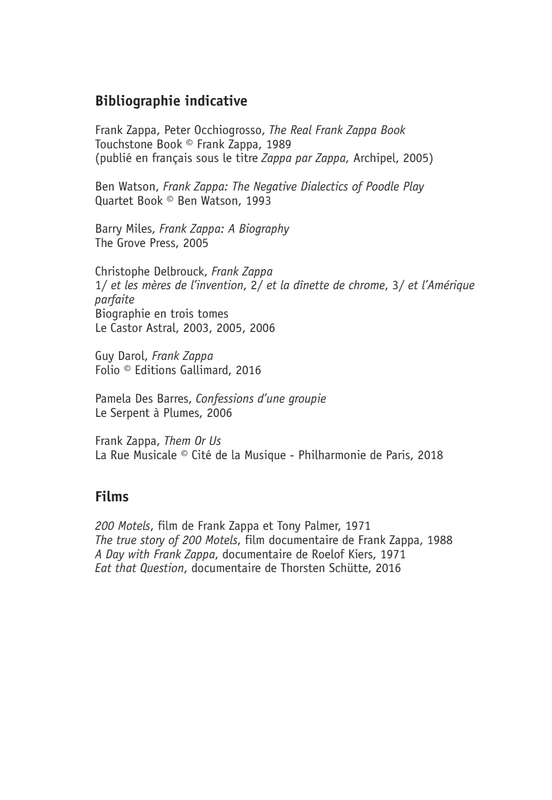 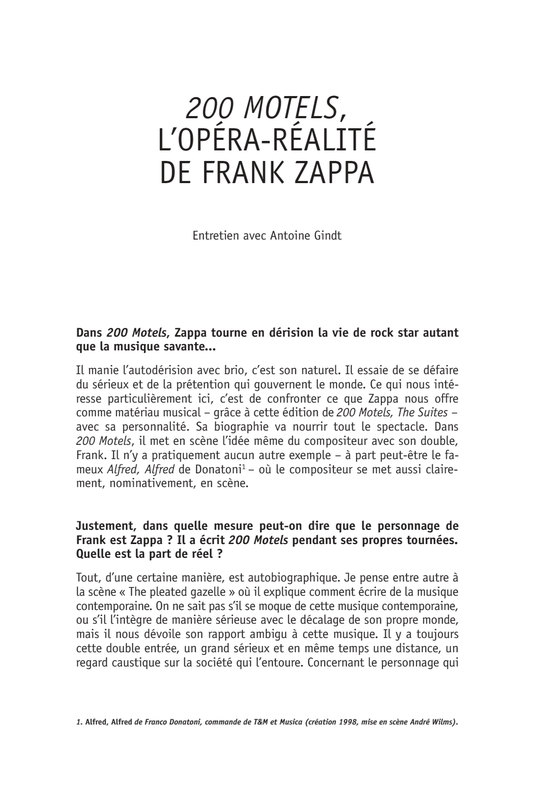 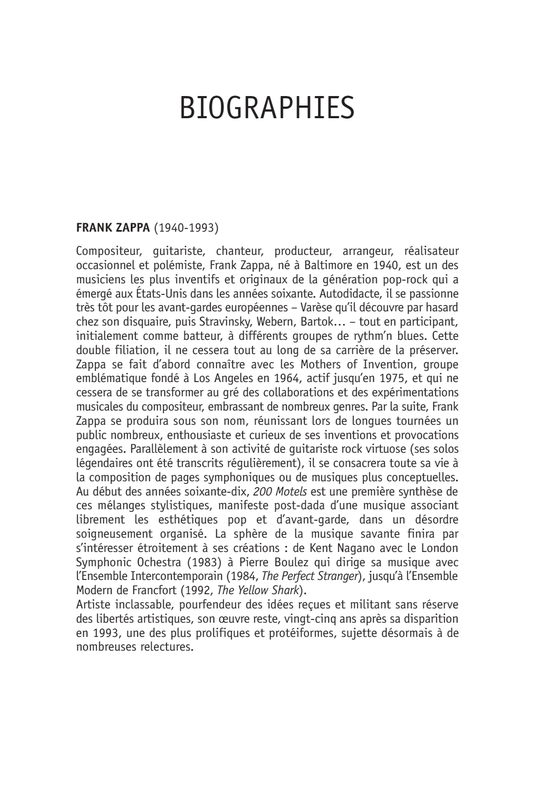 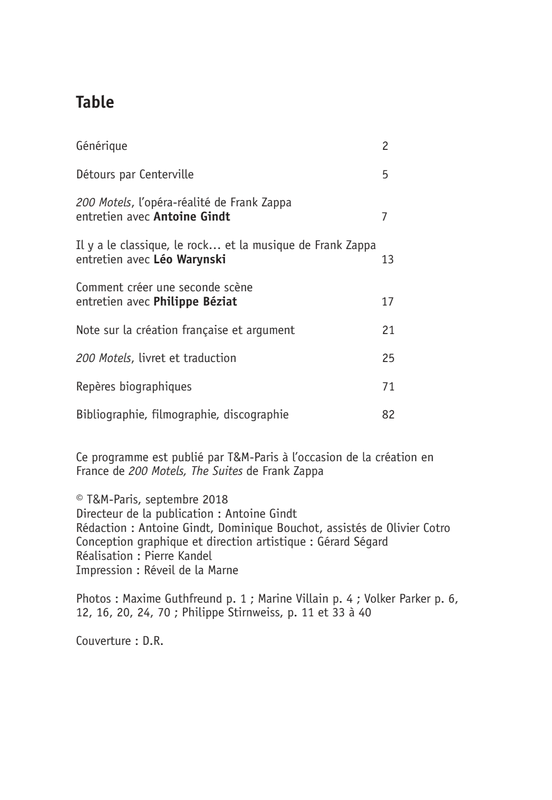 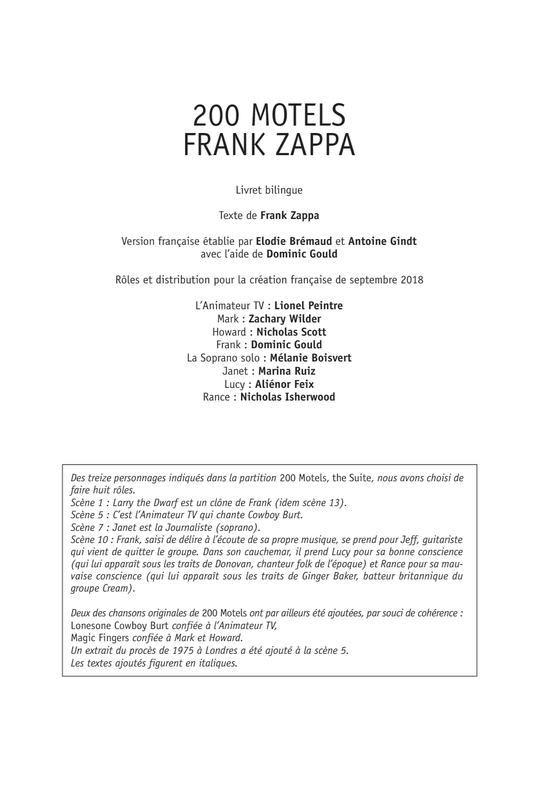 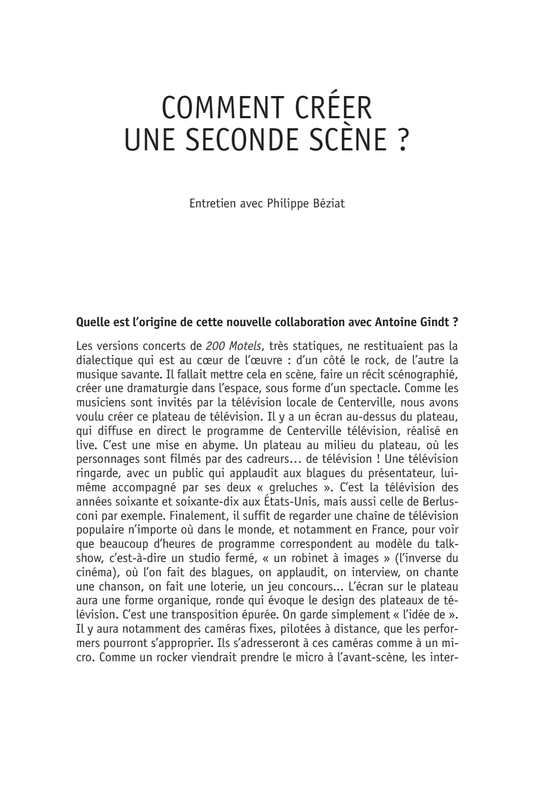 This voluminous program contains several articles and the full libretto by Frank Zappa in English and French.